Running at dead-on 2 hours, MOXF In ‘N’ Out is the latest instructional video from the Motif A-Team of KEYFAX NewMedia and long-time Motif sound guru Dave Polich. MOXF is firmly based on the earlier MOX instrument. Accordingly, this video focuses on what is new and what features are perennially either misunderstood or overlooked, including all basic Navigation and File Management plus Troubleshooting when things don’t work out like you planned! The heart of the content is managing new Voice data on the optional Flashboard. Most crucially, Polich also spends time looking at exactly how the MOXF (and in fact all ‘Motifs’) structures preset Voices because without this basic understanding it’s almost impossible to manage new content with any peace of mind. 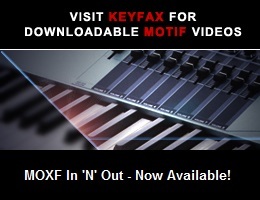 MOXF In ‘N’ Out features a second presenter, Keyfax’s own Megan McDuffee, who looks at all the ‘realtime’ file and formatting issues including Songs & Patterns, Arpeggios, and Standard MIDI Files. Full details of the video/DVD can be found in the Shop at Motifator.com. I ordered both DVD’s, glad I did, the MOX DVD has more of the basic nuts and bolts info I needed to understand this instrument, since I’m new to the MOXF. Hi, I pre-ordered the moxf n-out. When did or will you be shipping the DVD? If you’re brand new to the world of ‘Motif’ yes, you’re probably best with the MOX video because this offers a complete look at the instrument. The MOXF is very much just an extension of the MOX; primarily in its offering the Flashboard option. MOXF In ‘N’ Out focuses on issues that accrue from having the Flashboard but it also takes in the loading, saving and managing of all forms of data. The MOX video should give you all you need for now if a Flashboard is not on your radar right now. I just purchased an MOXF8 and need some help learning how to operate this board. I don’t have a flash board and am not sure I will purchase one in the near future. 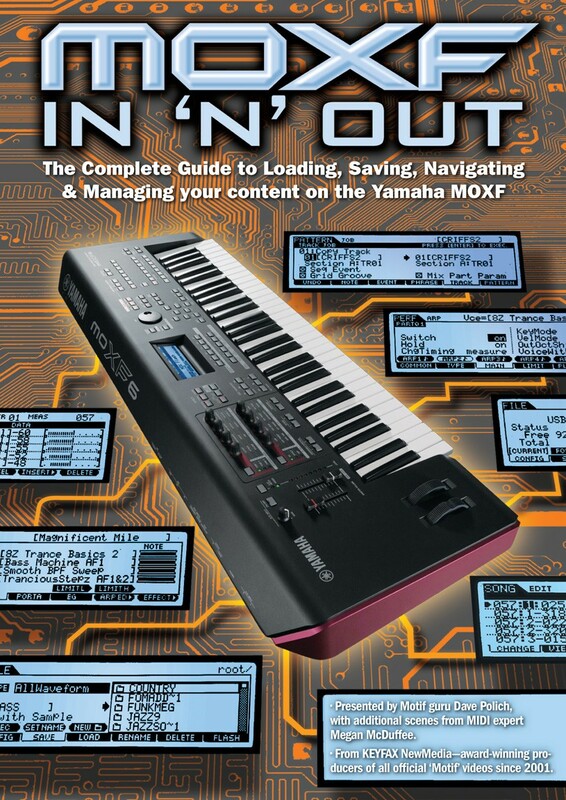 Being new to Yamaha’s MOX boards, would I be better off with the introductory MOX DVD rather than the MOXF in ‘N’ out DVD?